Older people are more likely than any other age group to be diagnosed with cancer. More than one third of new cancer cases in the UK were in people aged 75 and over in the two years to 2016. 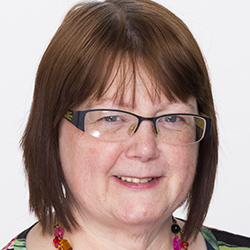 Nurses are more likely to treat older people than other age groups for cancer, and generally the treatment is more complicated, says University of Bolton clinical practice lecturer Carole Farrell. ‘Older people have often developed a number of co-morbidities, making clinical oncology management more complex,’ she says. Dr Farrell, who has worked in oncology for more than 30 years, including as a clinical nurse specialist and nurse clinician, says it can be particularly challenging for older people to understand their medication, the timings for taking it and possible side effects. ‘Nurses play a crucial role in helping patients’ understanding and monitoring concordance,’ she says. Dr Farrell, who is developing a ‘patient reported experience’ measure for those with secondary breast cancer, says her research shows older people are often reluctant to contact their cancer team if they are unwell or struggling with treatment side effects. She also says that while diet and nutrition need to be monitored, other factors such as whether patients can manage to go out shopping and have the energy to stand for long enough in their kitchen to prepare food should also be considered. 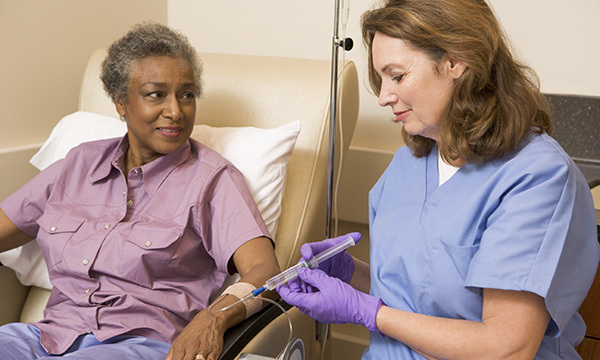 As with nursing any group, it is vital to understand the patient’s priorities during cancer treatment and the things they find most difficult, so they can be addressed, she says. RCN older people’s forum chair Vicki Leah agrees, and says the most important and rewarding intervention is to ‘make contact with the person on a human level’. Ms Leah, a consultant nurse for older people and the dementia lead at University College London Hospitals NHS Foundation Trust, says it is vital to find out what is important to the patient when drawing up treatment plans. ‘It may well not be what is important to the healthcare worker,’ she explains. Older people are more likely to develop delirium, which is often unrecognised and undertreated in all settings, she says. 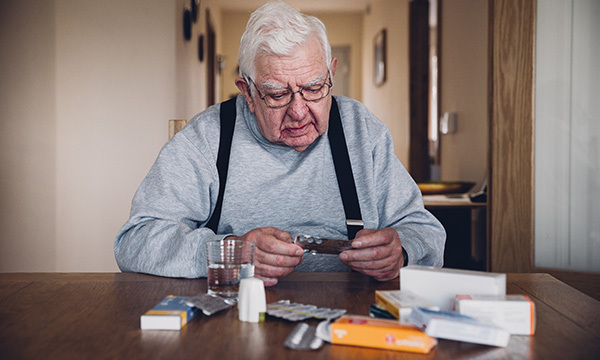 As well as being stoic, older people may ascribe treatment side effects to old age or present them in a non-specific way, as children can do, says Ms Leah, who leads a team of older peoples’ clinical nurse specialists. Cancer charities’ fundraising advertisements, such as those on TV that often feature young or middle-aged people, do little to help, she says. This is despite data from Cancer Research UK showing age-specific incidence rates rise steeply from around age 55-59. The highest rates are in the 85-89 age group. Ms Leah wants to improve the experience of older people in hospital through changing staff attitudes via education, motivation and role-modelling. She recalls distressed patients with brain tumours who were refusing treatment, which she describes as ‘extremely difficult emotionally’ for nurses. Leeds Beckett University research nurse Rachael Kelley is working on a project to calculate for the first time the prevalence of people living with cancer and dementia in the UK. The research, due to be completed in August, includes interviews with oncology staff, people with cancer and dementia and their families, as well as observations in hospital cancer services. GP records from hundreds of practices are being analysed as part of the study, funded by the National Institute for Health Research. 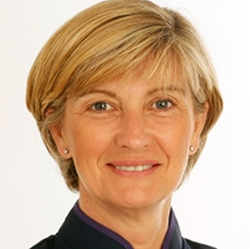 Dr Kelley, who was a mental health nurse specialising in dementia before the research project, says that while there are currently no accurate figures, the little research available suggests patients with both conditions have worse outcomes in terms of diagnosis, treatment and survival than those with cancer, but not dementia. Early findings suggest dementia is not always well-recorded in hospital records, and Dr Kelley suggests nurses assess patients for memory problems and check during the consultation that they understand what is going on. ‘Using visual information such as pictures and diagrams or providing information that has been discussed in written form so people can take it home is often helpful,’ she says. The findings, due to be available from early next year, will be used to raise awareness of the numbers and needs of people with cancer and dementia and to make recommendations on how services can be improved. Summary reports for NHS clinicians and best practice recommendations for providing care will also be issued.